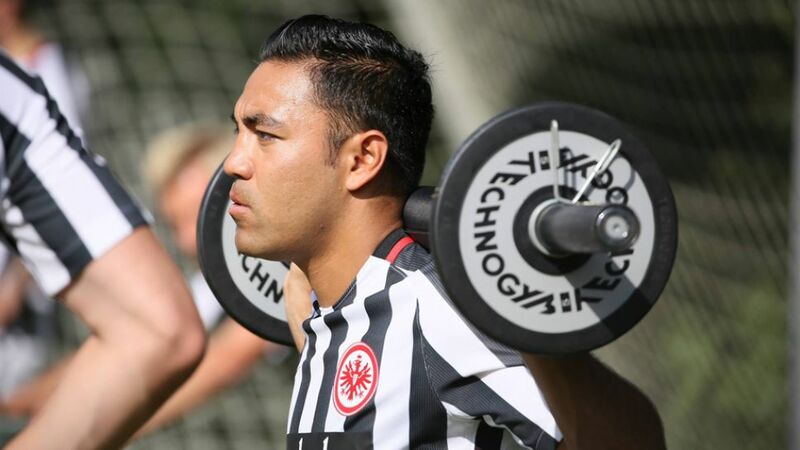 Eintracht Frankfurt attacker Marco Fabian is back in Germany and eager for the new 2016/17 season to get underway. “I’m very happy to be here and to take part in the first few training sessions," said the 26-year-old Mexico international, who spent part of his summer break in the USA and even pitched the first ball ahead of an LA Dodgers baseball game. "A great honour to have been invited to pitch the first ball today." "I’m grateful to everyone who’s here supporting me," Fabian continued in an interview with the official Frankfurt website. "That gives me confidence to start the pre-season well and I’m happy to be here." The Eagles only narrowly avoided relegation at the end of 2015/16, beating 1. FC Nürnberg 2-1 on aggregate. They have undergone a period of intense rebuilding ever since and have made a number of promising signings, including Omar Mascarell from Real Madrid, Danny Blum from Nürnberg and Branimir Hrgota from Borussia Mönchengladbach. Frankfurt will head to Flachau in Austria later this month for a training camp in what will be head coach Niko Kovac's first full season in charge.